National medical marijuana provider opening a flagship location in the iconic Five Points commercial district. MedMen Enterprises of Los Angeles, the country’s biggest medical marijuana provider, has signed a lease to open a 6,000 square foot medical marijuana dispensary in the former Fans & Stoves building at 1059 Park St. in Five Points. 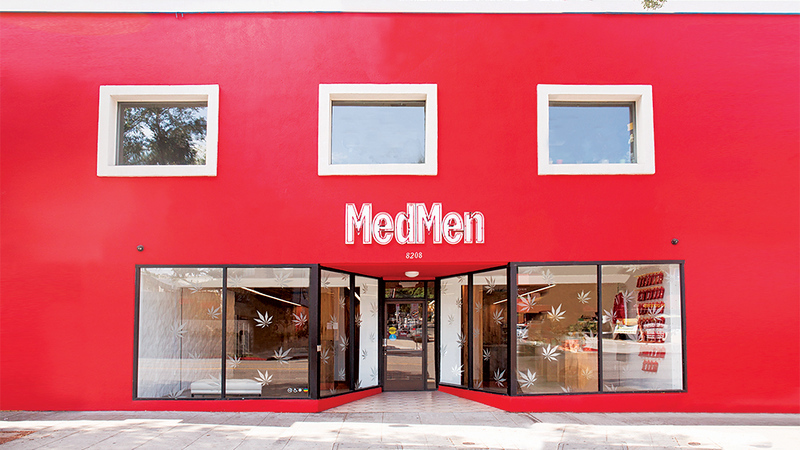 A storefront in Los Angeles provides an example of the company’s signature red facade adorning their retail outlets, courtesy of MedMen. 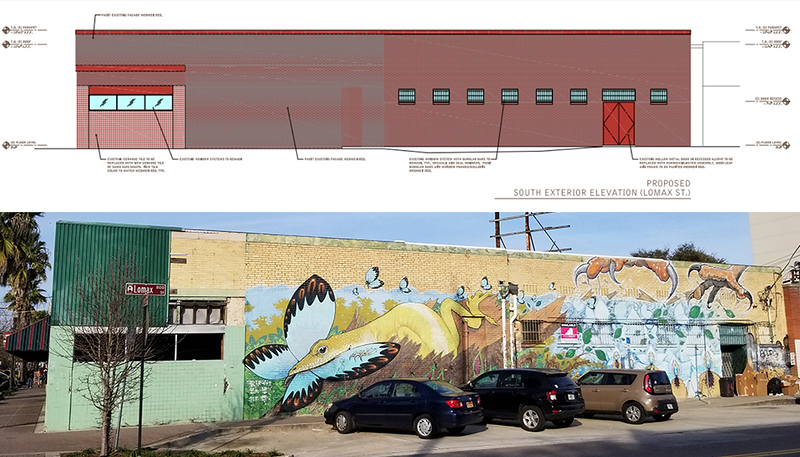 Miami developer Jeff Morr purchased the building in 2016, and the building’s former tenant Fans & Stoves Antique Mall subsequently moved to a 6,500 square feet space at 800 Lomax St. Morr also owns the adjacent building at 813 Lomax St., which includes tenants such as Copper Closet, Ribault Bakery and APB Sneaker + Apparel Boutique. Matthew Clark, Senior Vice President at Prime Realty, represented both parties on the leasing transaction. 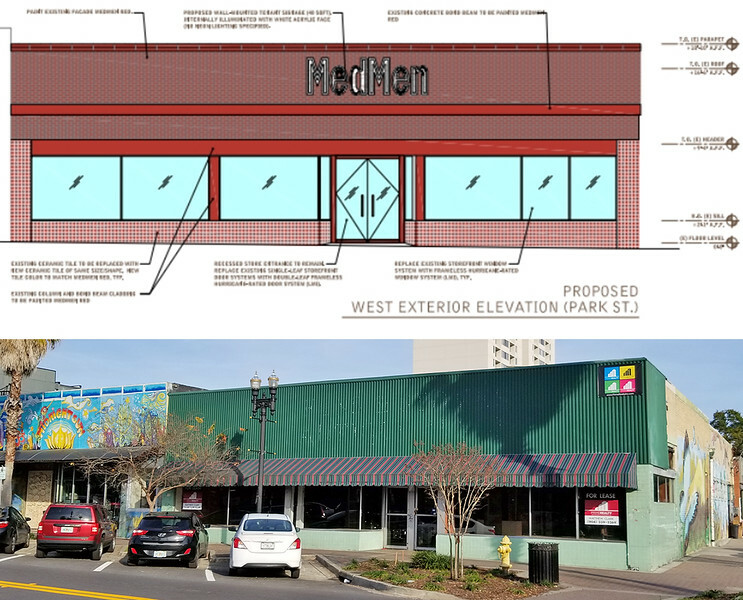 The proposed storefront façade is under review for a Certificate of Appropriateness by the Jacksonville Historic Preservation Commission, and includes a bold red facade that would stretch from new canopies to be installed along the Park St elevation and continue around the corner to replace the Shaun Thurston mural currently adorning the building along Lomax St.
MedMen entered the Florida cannabis market in 2018 through the $53 million acquisition of Eustis, FL-based Treadwell Nursery’s medical marijuana treatment center license. Along with Treadwell’s 5 acre cultivation facility in Central Florida, the acquisition included Treadwell’s existing retail storefronts in Ft. Lauderdale, Miami Beach, West Palm Beach, St. Petersburg and Key West. The publicly-traded company trades on the Canadian Securities Exchange under the ticker MMEN. Florida, the third most populous state in the U.S. and home to the largest elderly community in the nation, is seen as a high growth adult use medical cannabis market. According to Arcview, medical cannabis sales are estimated to be approximately $1.4 billion by 2021. But Florida is a tough market for cannabis companies, due to laws governing the sale and distribution of medical marijuana. That’s because Florida is what’s known as a vertically-integrated market, meaning the same provider grows, meaning companies must both process and sell its own marijuana and cannot distribute to third party retailers nor purchase from third party agriculture producers. MedMen now holds one of only 13 active medical marijuana treatment center license’s in the state. “Our entry into Florida demonstrates our growing national footprint,” said Adam Bierman, MedMen chieft executive and co-founder, at the time of the Treadwell acquisition. 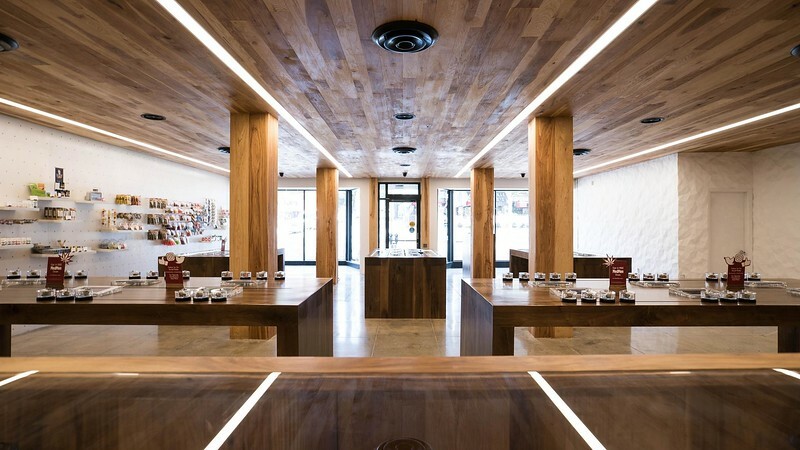 “Our real estate team is hard at work preparing to put MedMen branded stores in the most coveted locations in Florida – locations in highly desirable and defensible market areas with high foot traffic and proximity to popular brand retailers.” One of those locations will now include the Five Points commercial district, and joins Atlanta-based Surterra Wellness that operates a dispensary in the nearby Brooklyn neighborhood. Pending approvals, MedMen’s Five Points location is expected to open by the end of the 3rd quarter of 2019.